Today I have the pleasure of sharing with you an amazing collection of photos from long time Daily Diesel Dose supporter Dan. Perhaps his best work to date? You be the judge. 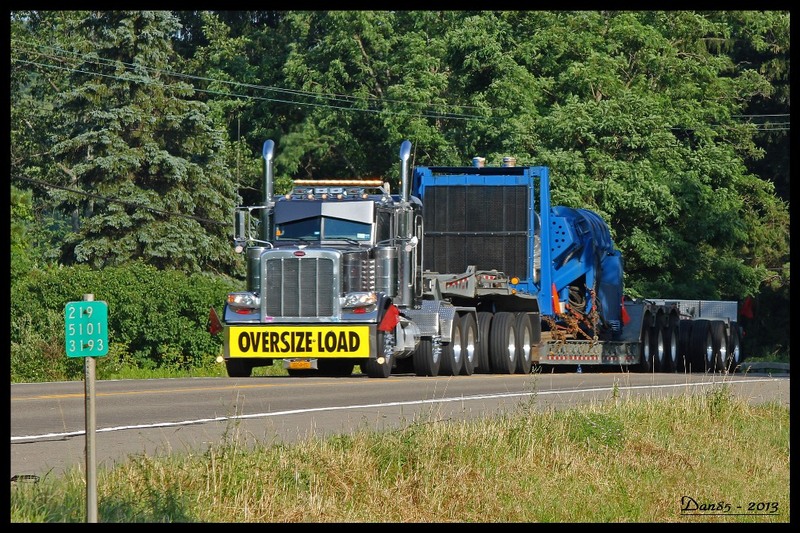 Working his contacts in the industry Dan was able to gain the inside information on this massive rig and its load as it traveled RT 219 to Buffalo. 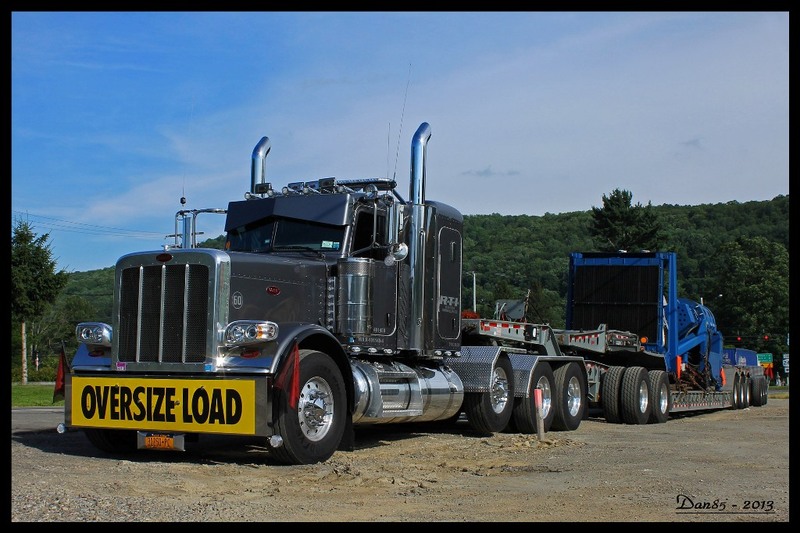 The truck is 2013 Peterbilt 388. Power is supplied by a 600HP Cummins ISX that is matted to an 18 speed Road Ranger with two speed auxiliary transmission. 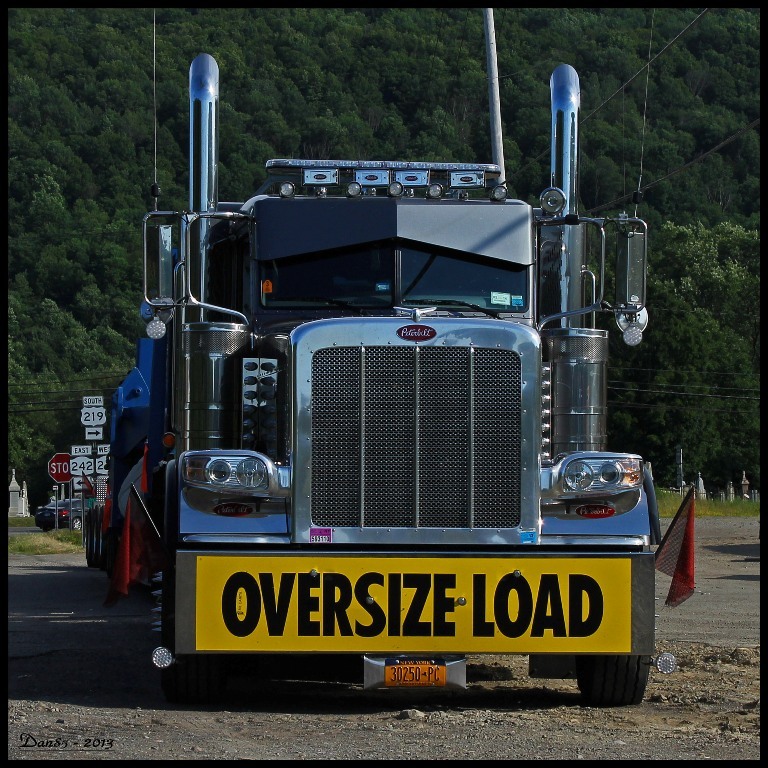 You can catch the full details of the truck, trailer and the trip from Baltimore to New York by visiting this thread over at the DHS Diecast website. The load out back is a Drake steel shredder weighing in at 150,000 lbs. I give these photos the headbanging smiley of approval. 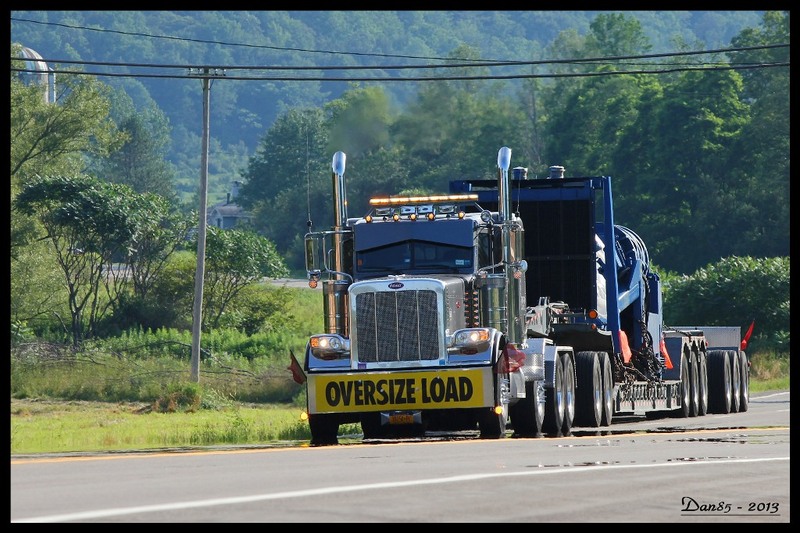 This entry was posted in On the Job and tagged drake steel shredder, peterbilt 388. Bookmark the permalink.